D.F. 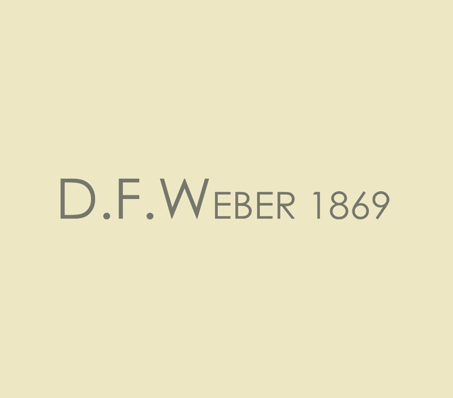 Weber was founded in 1869, Eisingen, Pforzheim, the cradle of gold and jewellery making in the southern part of Germany. As the affiliated brand of LOTOS Goldbrillen GmbH, D.F. Weber insists on producing precious metal eyewear. Every D.F. Weber frame is made of the patented precious metal "Palladium-Silver (PdAg 400/400)", a unique mixture of pure palladium and sterling silver. With Mohs hardness 4.5 - 5.0, spectacles made of palladium is even harder yet lighter than that made of platinum, which is more durable and not easily to be scratched during normal wearing. The natural shininess enhances the product's beauty. Imbued with the perfect combination of classic and modernity, D.F. Weber frames endure across time. It guarantees limited production and lifetime warranty. Each frame is packed with a genuine leather frame case and individual certificate.